Rating: 9.3. From 126 votes. Eden Hazard (born 7 January 1991) is a Belgian international footballer who currently plays for English club Chelsea in the Premier League and the Belgium national team. He primarily plays as an attacking midfielder and a winger. Hazard is known for his creativity, speed, and technical ability and is described as a “fearless, explosive attacking midfielder who can change the game with a turn of pace or a dribble”. He has also been described as “a defender’s nightmare” and has earned quite some praise for his offensive playing style, which has caused the media, coaches, and other players drawing comparisons to players like Lionel Messi, Cristiano Ronaldo and Michael Laudrup. Creative, agile, speed, dribbling, vista, right and left footed, number 10, playmaker, consistent, fair, team player, hardly ever injured, intelligent, balanced after-work and family life. Hazard is the son of former a Belgian footballer and began his career in Belgium playing for local clubs Royal Stade Brainois and Tubize. In 2005, he moved to France joining first division club Lille. 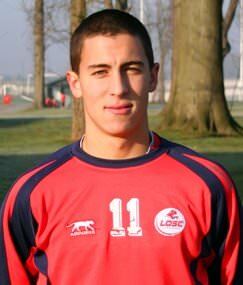 Hazard spent two years in the club’s academy and, at the age of 16, made his professional debut in November 2007. In his first full season as a starter, he won the National Union of Professional Footballers (UNFP) Young Player of the Year award becoming the first non-French player to win the award. In the 2009–10 season, Hazard captured the award again becoming the first player to win the award twice. He was also named to the league’s Team of the Year. Since making his debut in 2007, Hazard has become an integral part of the club under coach Rudi Garcia gathering over 190 appearances. In the 2010–11 season, he was a part of the Lille team that won the league and cup double and, as a result of his performances, was named the UNFP Ligue 1 Player of the Year becoming the youngest player to win the award. 1 - Technically excellent in limited areas, fast explosive acceleration during the first ten yards. Ability to maintain technical skills, vista ánd accuracy during this acceleration. Is a fast and creative winger, and a number 10 (playmaker) to put attackers into best position to score. Delivers many assists. 2 - Can make the final action, an score with 1 or 2 defenders in close range or in front of him. Able to create space for other attackers. 3 - Very efficient in counter attack, especially when playing together with an intelligent attacker, who is also fast, knows where to run during the counter attack, and has cold blooded finishing skills (Example: Romário, Van Nistelrooy, Dwight Yorke). In June 2012, after over eight years at Lille, Hazard left the club, with many days of transfer speculation, to join English club Chelsea. Hazard is a Belgium international, having represented his nation at under-17 and under-19 level. Prior to starring for the senior team, he played on the under-17 team that qualified for the 2007 UEFA European Under-17 Football Championship and 2007 FIFA U-17 World Cup. Hazard made his senior international debut in November 2008, at the age of 17 years and 316 days, in a friendly match against Luxembourg. Nearly three years after his debut, Hazard scored his first international goal against Kazakhstan in October 2011. 4 - Defenders also take yellow cards trying to stop him, resulting in being suspended in the next match or getting red cards, allowing his team to have one player extra on the field. 5 - Defenders often commit errors against him, outside and in close range of the box, allowing to score from free kicks and penalties. 6 - Best combined with a good player who has excellent free kick skills (example: Free Kick Specialist. This can be a lethal weapon when wanting to win in important games (Champions League and Cup finals). Although Eden's ranged free kick skills have improved in such a way, that he could be taking these free kicks himself. 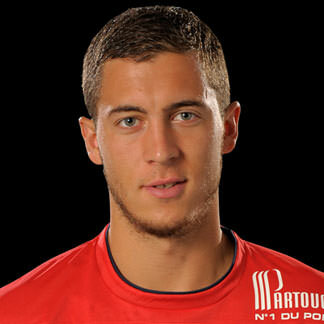 Hazard was born in the city of La Louvière, but grew up in Braine-le-Comte, a small town in the Wallonia region. He grew up in a family where football was dominant. His mother, Carine and father, Thierry were both footballers in Belgium. His father spent most of his career playing at semi-professional level in the Belgian Second Division. His mother played as a striker in the Belgian Women’s First Division and stopped playing when she was three months pregnant with Eden. After playing football, both parents became sports professors. Thierry retired from his position in 2009 in order to devote more time to his children. 7 - Increased efficiency when playing with other technically skilled players that think and act fast, preferably one step ahead. Many assists in goals. 8 - Eden is able to take responsibility within a team, and is more present throughout the whole game. Both for the national team as Chelsea. 9 - Furthermore, he is developing to be a Real Winner: (see his trophies to the left). He has won many awards: Man Of the Match, Player Of the Month, Best Young Player of the Year, Best Player Of the Year, and won the double (Championship and Cup) in 2011 in France. 10 - Eden has played more than 100 consecutive matches in 3 years without getting injured or suspended. Hazard is the oldest of four children. He has three brothers, and all play football. Thorgan was transferred to Chelsea, and was loaned to Belgian Club Z. Waregem. Hazard’s other younger brothers are Kylian, 17, and Ethan, 8. In August 2011, Kylian joined the youth academy of Lille after a deal had been agreed to allow him to join the club when he turned 16, while Ethan remains in Belgium playing in the youth academy of Eden’s former club Tubize. - (Very) good, recently stays very calm in 1-vs-1 situations with the keeper. Can place the ball nicely outside keeper's range. - Became a strong penalty taker. Is able to deliver the ball hard next to the left or right post, or to the other side the keeper is heading at. - Can strike from wide outside the box. - Can strike suddenly and equally good with left and right foot. - Finishing skills have improved a lot in the last year. Shot without first accelerating is average. Compared with top-scorers like Messi, Ibrahimovic or Van Nistelrooy he needs to be able to create up to 50% more power in his shot. In May 2012, Hazard revealed, via his official Twitter account, that he would joining Premier League club Chelsea stating “I’m signing for the champion’s league winner”. However, back then, neither Lille nor Chelsea confirmed the statement. On 4 June, Chelsea officially confirmed on its website that the club had agreed terms with Lille for the transfer of Hazard. The midfielder agreed personal terms with the club and passed a medical examination. The transfer fee was rumored to be priced at £32 million, (40 Million Euro) while Hazard will reportedly receive a weekly wage of around £170,000. Upon signing with Chelsea, Hazard told the club’s official website “I’m delighted to finally arrive here. It’s a wonderful club and I can’t wait to get started”. - [Above average] Hard shot (is good now, but can improve a lot more). Messi can shoot twice as hard in the roof of the goal with half the run-up. - [change needed] Too much dribbling. Eden is currently dribbling 70% of the time. He can be much more than a winger like Overmars used to be. He is much more complete. His pass-trough and precise long ball skills should be used more. - [change needed] Eden Hazard is not socially involved. He performs well for his team, is nice to his team-players, and is a great family man. But what can he do to improve a little part of this world? Belgium's captain Vincent Kompany is involved and sponsoring various social projects. With this salary spending 1% would make a great difference to people/animals/nature. - The market value of Robin van Persie was only 5.000.000 Euro. - Ruud Van Nistelrooy was still playing at SC Heerenveen (NL), and would only join Manchester United 4 years later.